Shelley from Bartacks and Singletrack is here visiting again. You remember Shelley, right? She has told us about her favorite pattern. She also shared her Evel Knievel costume and disco pants. 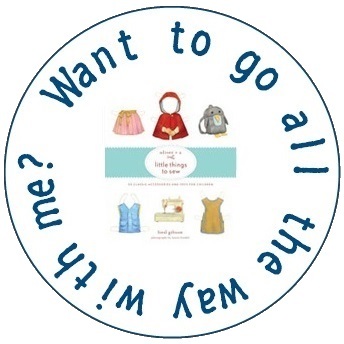 Today Shelley is talking about the Little Things to Sew: Cover to Cover Challenge that she is running over on her blog. If there’s one thing I can rightly be accused of, it’s getting carried away with an idea. Late last year I was making a puppet theatre for a gift using the pattern from Little Things to Sew, when it occurred to me that I had made almost half the projects in the book. Whilst using at least half the patterns in any sewing book would count as great value (come on, don’t we all have completely untouched sewing books on the shelf) I decided that I was going to go all the way with this book. I made a button picture for my Flickr account put the idea out there on the forum and suddenly we had a sponsor and a group of sewers who were keen to play along. Entry to the sew-along was simply by joining the Flickr pool and posting photos. 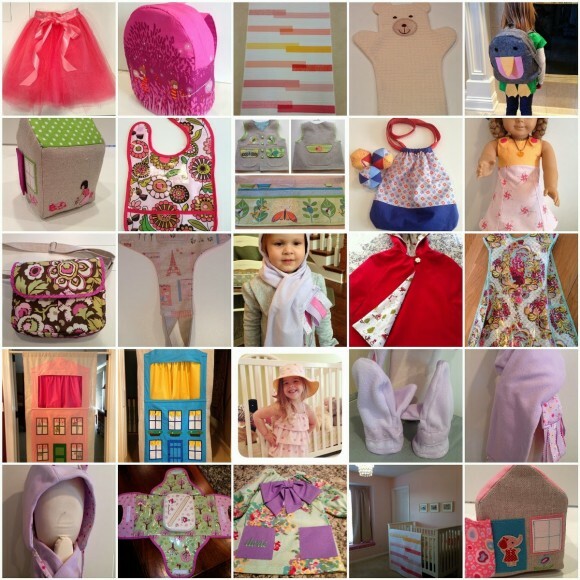 Each unique pattern used from the book would count as one entry in our competition. Counting the Juggling Balls and the Drawstring Bag as two separate projects there are 21 projects in the book, and as the photos flooded into the Flickr group it was clear I was going to get flogged in my own race. Sharon (aka mama_knowles03) was our first finisher. To celebrate her success, and to keep her from getting bored, Liesl and Todd kindly gave her two Straight Stitch Society patterns and we had a finish line interview, where I gave her a somewhat childish blog button to commemorate her having come first. The rest of us kept sewing along and it was clear that my initial lead was being slowly eroded by some very keen sewists. 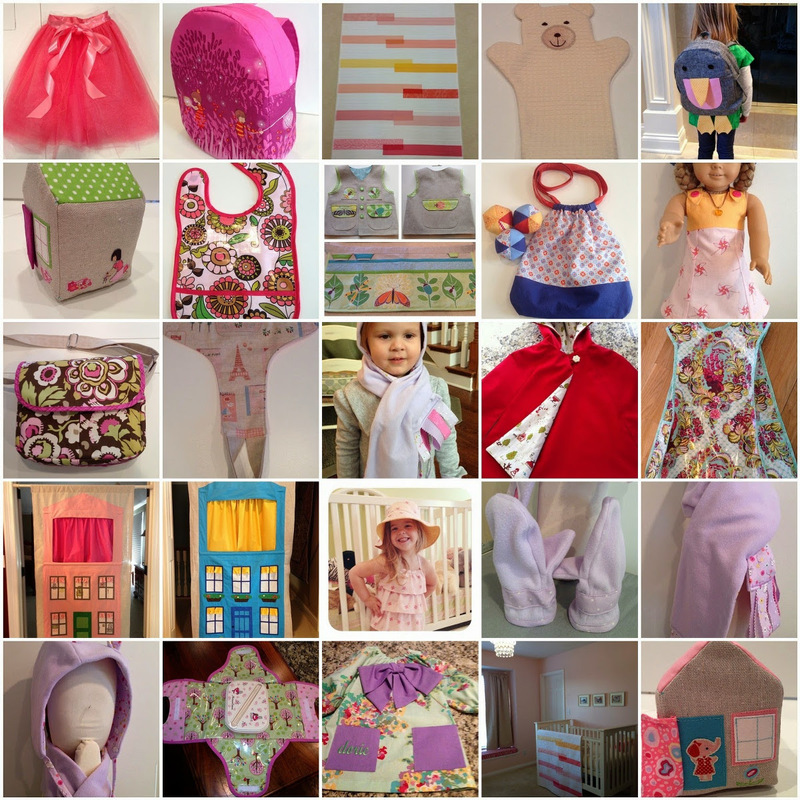 There’s no doubt that the person who has sewn the greatest number of things using patterns from Little Things to Sew is Heidi (with love, Heidi). I finally convinced her to share the secrets of sewing crazy numbers of projects (10 explorer vests people!) and was amazed at her response (interview here). Meanwhile Lynn (Mile571acr) had romped home with a full set of projects. I was not only impressed with the speed that her projects came into the Flickr pool but each one was gorgeous. That Play Town remains a real favourite of mine. Along the way we’ve shared some tips on sewing: my avoiding hand sewing the Bucket Hat tip is here, and Heidi’s Flickr set for the No Tie Scarf here. 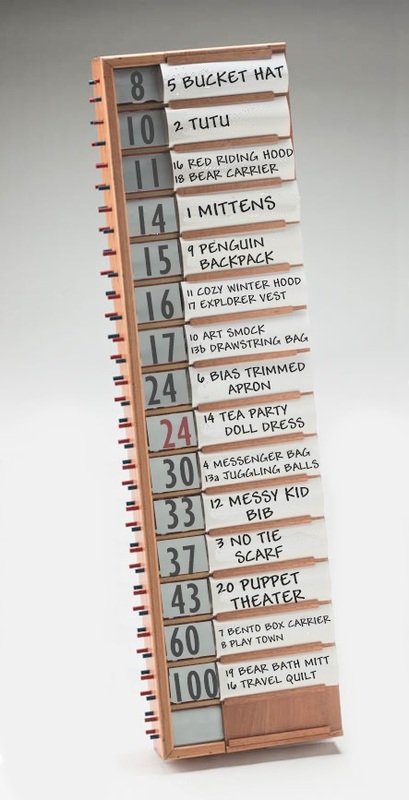 We talked favourite patterns, ours and our kids, and all along I’ve kept score with a PDF scoreboard. By sewing through the book from cover to cover, one could learn almost every sewing skill needed. Each project seems to have some new technique to come to grips with, and there is certainly more than enough opportunity to practice applying bias binding! 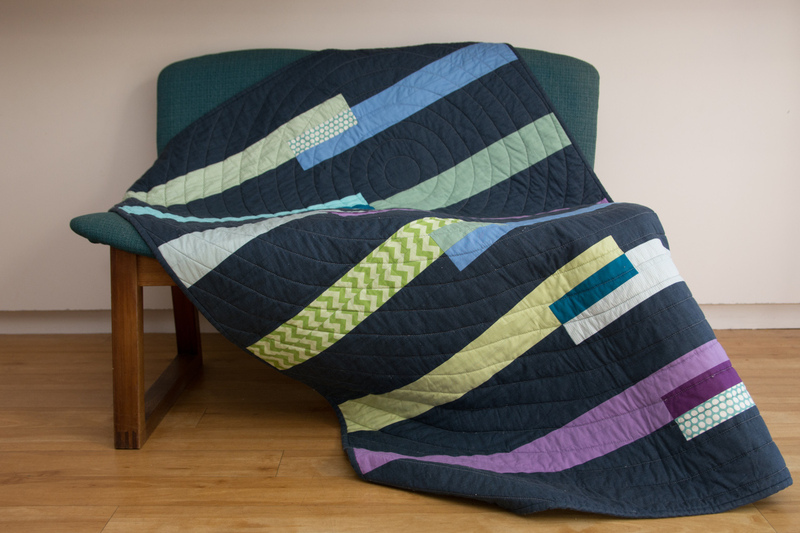 For me, a project I had initially not been too interested in, the Travel Quilt, ended up becoming a real favorite. For those of us sewing along in the Cover to Cover Challenge there’s only about three weeks to go until we wrap it up. However, I’m hopeful that the Flickr group will continue to be a place to show off what you’ve made, or seek inspiration from someone else’s projects. 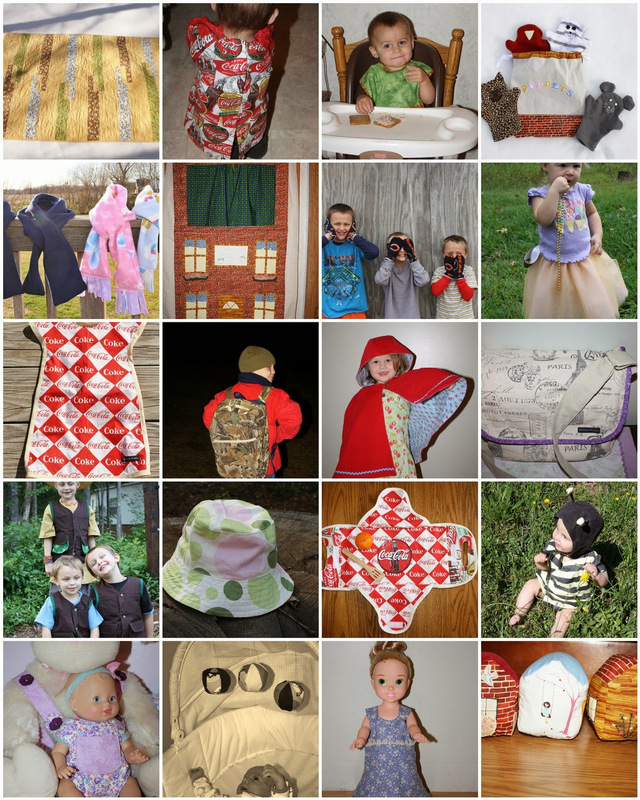 With 86 members currently and over 500 images you’re bound to find the motivation you need to make one of these cute and useful projects. Now, I have to get cracking as I have some Bias Trimmed Aprons and Bear Puppet Bath Mitts to make in order to cross my finish line in time! Shelley, this is so great! Thank you for hosting the challenge. It’s so fun to see everything that’s being made from the book. Great post Shelley! 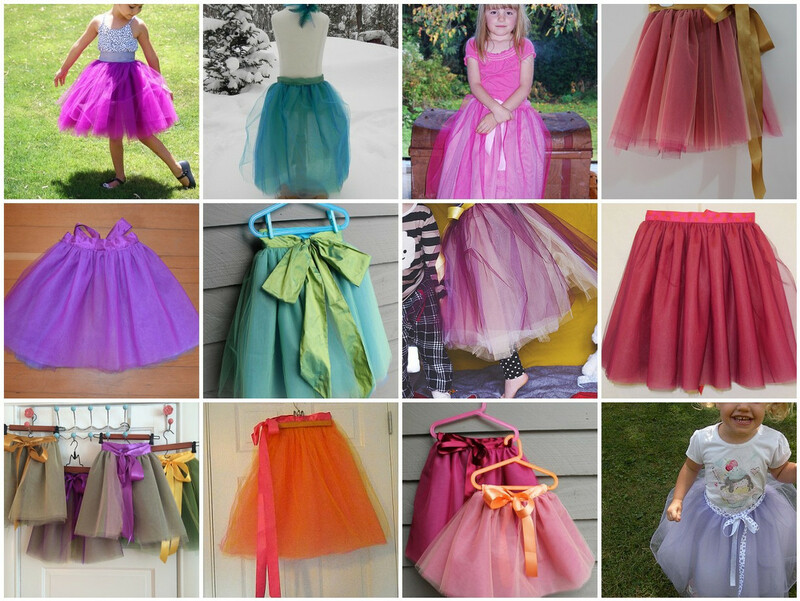 This has been the most fun sewing challenge ever! I know I never would have finished sewing every project if not for you. I can’t wait to see your last sewing projects in this book and too see you cross the finish line! Such a fun idea, Shelley! The book is so great! It’s fun to see all these projects, too! Congrats Sharon for making all the projects in the book. Shelly, I’ve really enjoyed your blog posts about this challenge and seeing all the projects people have contributed to your Flickr pool. I truly wanted to go all the way with you but life (mostly other sewing projects) got in the way. Therefore, for all of us slow-pokes can you keep the challenge going for another year? Okay I am motivated. I really want to make the puppet theater and art smock. I wonder if I can get those done in three weeks. Deb, absolutely, don’t stop! I may not continue to keep score after August (that PDF scoreboard is getting difficult to manage) but we can continue it as a honesty system and I’d be delighted to celebrate anyone’s success in finishing off all the projects and host them on my blog. I recall a mountain bike race once where the finish line had been packed up and put away by the time I got there. I insisted they put it back up so that I could cross it! So, I get where you’re coming from. Keep sewing! GRACIAS es muy hermoso y generoso su comentario, al participar todos los pensamientos y conocimientos. What a fun idea!! We have a few more to add to the group….nowhere near completion of the book though :). 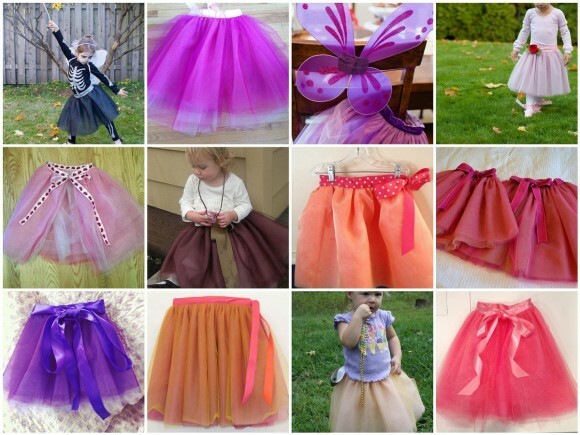 CONGRATS, Sharon and other featured sewists! !